Ever wondered how to create and sell digital watercolor florals, but had some fears holding you back? "I don’t have much experience with watercolors"
"I’m new to Photoshop and this seems advanced"
"I don’t sell digital products yet, so it’s probably too late for me to start"
Instead of watching someone else paint without audio, you’ll get step-by-step instruction on which brushes to use, how to create each stroke, mix color and create your own style of florals. With every keystroke on screen and every step explained in detail (the why’s and the how’s), this course was created with beginners in mind. Not only will you walk away with digitized watercolor florals, you’ll gain an entirely new set of Photoshop skills. Everyone starts somewhere! Beginning with a product you’re confident was created properly will set you up for long term selling success. How to remove the white backgrounds on florals for the most realistic outcome. This enables the florals to be placed on any color or textured background. Learn color, brightness and saturation adjustments to enhance your scans in Photoshop! Once you have your florals edited and enhanced, learn how to create seamless, repeatable Photoshop patterns from them! These can be great bonuses to offer within your kit to incentivize buyers, and they can also be placed on any colored or textured background. Not only will you have step-by-step instruction for painting your florals, you’ll have everything you need to sell them as a digital product, too. While many graphic designers remain in designer roles throughout their careers, I’ve also spent time as a production artist, preparing design files for Fortune 500 companies. In this course, I share all of the best practices from scanning, to resolution, enhancing, vectorization and organizing download folders for buyers. I’ve been successfully creating and selling digital designs for over 9 years and share my experience in product creation, pricing, where to sell and what to expect throughout this course. Unlike selling a single watercolor piece that takes time, materials and shipping, digital watercolor florals are created once, can be sold repeatedly with no additional effort and are delivered online instantly. Not only are you able to sell the florals themselves, but any stationery, logos or invitation templates you create with them in the future can be sold repeatedly, too. Hello, passive income! All of the supplies, software and suggestions from this course all in one place! Click on any item on the list to be directed to it’s information/purchase page. If image resolution and scan settings trip you up, refer to these handy cheat sheets to create images that are properly sized with the correct resolution for yourself and your buyers. All of the selling tips, links and information from this course are within this packet for future reference. Move forward with complete confidence you’re making the right selling decisions. Connect with other supportive artists, share your wins or receive help if needed in our private group! Create authentic, reusable and sellable watercolor florals for digital designs. Begin the course by painting your unique florals, then follow the scan settings to properly digitize, enhance, edit and prepare your florals for sale. Finish it up with strategies in the selling module for an extra edge when you list your graphics for sale. While we *do* spend time painting florals, the majority of this course is spent digitizing, enhancing, removing backgrounds and creating bouquets, arrangements, wreaths and patterns within Photoshop. Since we’ll be using the full version of Photoshop, an iPad won’t be sufficient to complete this course. You’ll need either a Mac or PC desktop or laptop to follow along. Sure do! If you finish the course and feel you haven’t learned anything new, you can email me within 30 days of purchase for a full refund. Do you cover vectorizing in this course? Yep! While we spend the majority of the time in Photoshop, I *do* share how to fully and cleanly vectorize your florals using Adobe Illustrator, if that’s something you’d also like to offer or learn. Is this a live or pre-recorded course? This course is entirely pre-recorded, so you can take it whenever it works best with your schedule. I noticed there’s a similar course offered on Skillshare. What’s the difference? I’m inexperienced when it comes to watercolors, can I still participate? Yep! Even if you haven’t painted florals before, I share methods and exercises that anyone can do to create beautiful watercolor florals. I’m new to Photoshop, will I be able to follow along? The course was created with beginners in mind! Every keystroke is displayed on screen with narration throughout every step (the why’s and the how’s). Even if you’ve never used Photoshop before, it may take some extra time, but is completely doable. 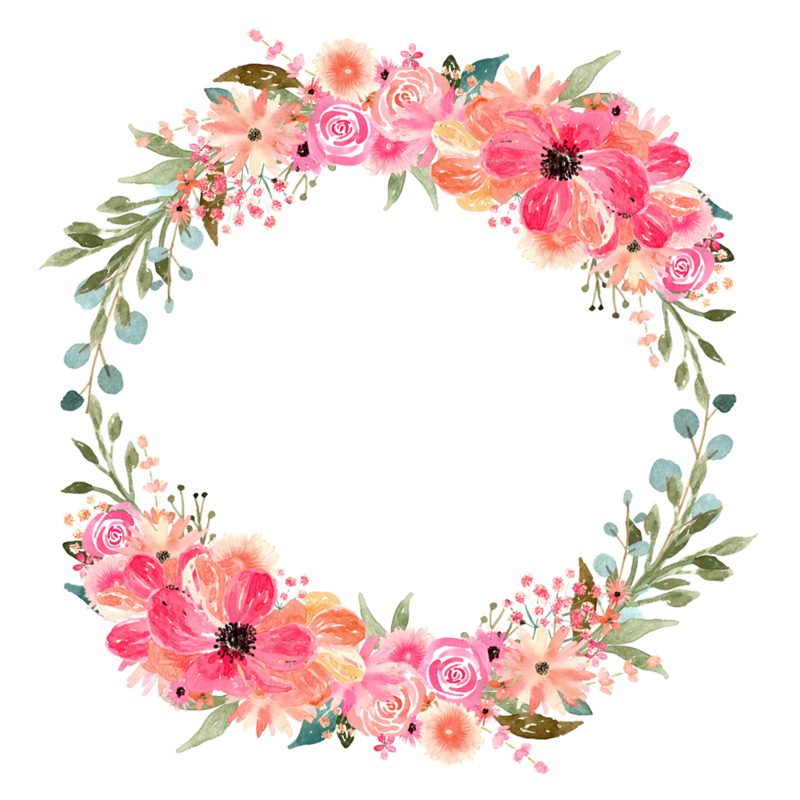 Welcome to Watercolor Florals for Graphic Design, your one stop for painting, enhancing, digitizing and selling your florals online.